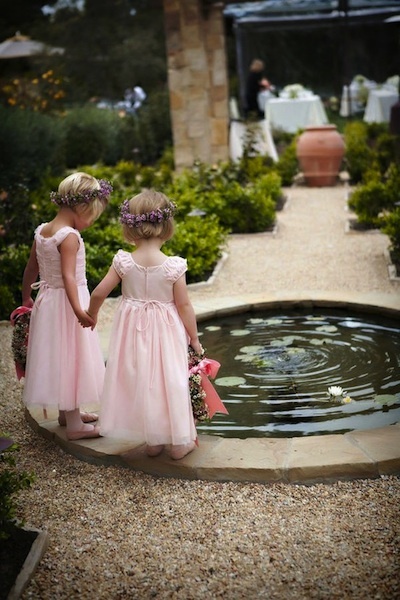 The role of the flower girl has been documented since Ancient Rome, but its thought that they’ve been part of weddings since day one. 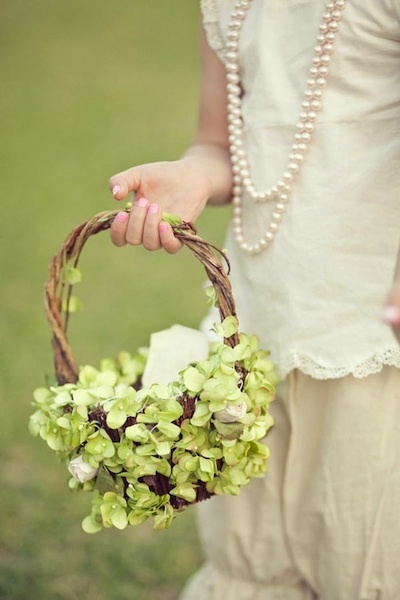 Early on, flower girls would walk down the aisle carrying sheaves of wheat and tossing herbs to promote fertility. Through their evolution they also carried garlic, a bride’s cup and snips of rosemary. In the Victorian Era they began carrying baskets of flowers or wearing flowered crowns (which mirrored the shape of the wedding rings). 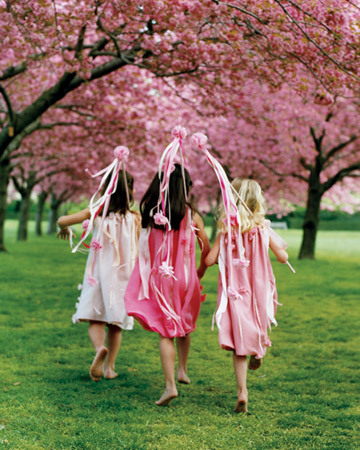 Today flower girls are just as unique as the bride’s wedding day style. 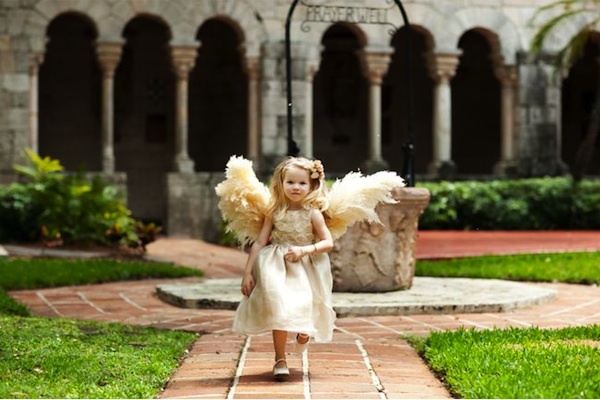 Flower girl fashion can vary widely, but they are still typically dressed in tones similar to the brides or bridesmaids dresses. 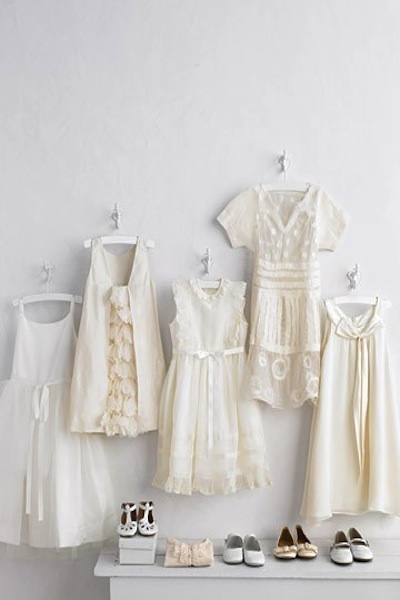 Often dresses and shoes are white or in pastel or pale palettes. 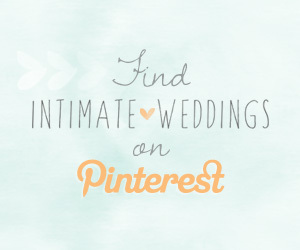 If your wedding style is vintage influenced and your looking for dresses that are reflective of that look, you can look in vintage shops as well as online (Etsy and Ebay are always great sources) for dresses that fit the look you’re going for. 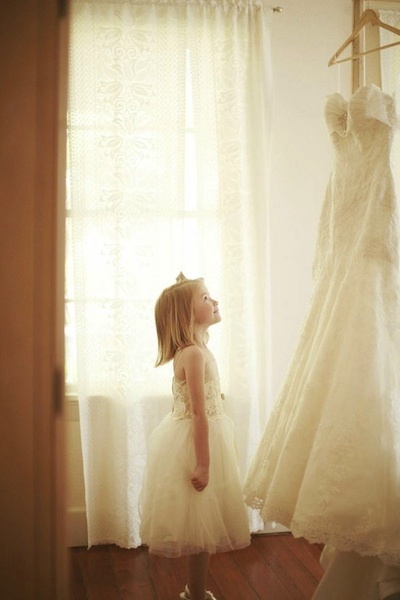 Remember, if you fall in love with an adult sized dress that is perfect you can also have it tailored to fit your flower girl. 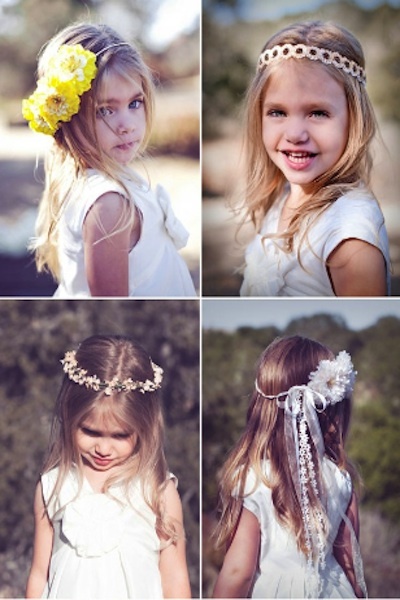 Just like brides, flower girls can have fun with their accessories. Hair adornments and wreathes are sweet details that work for weddings with bohemian looks to formal affairs. Here is a beautiful basket that is not only filled with flowers but has also been adorned with them to create an ethereal look and feel. Another vessel that could be used as a basket is this clever idea for using a vintage tea kettle. 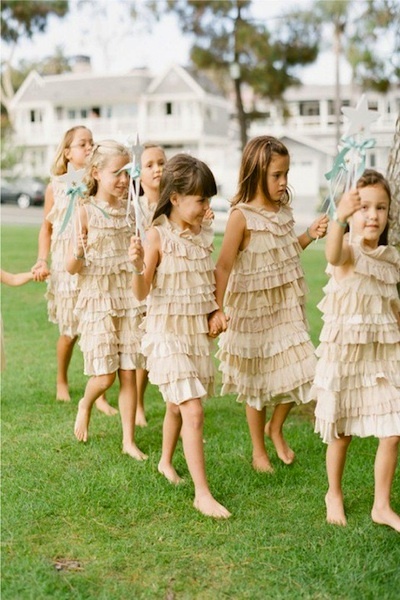 Flower girls don’t have to just carry baskets anymore, this idea of using ribbon wands is a fun and Mid-Summer Night reminiscent look turning the flower girls into sweet fairies. 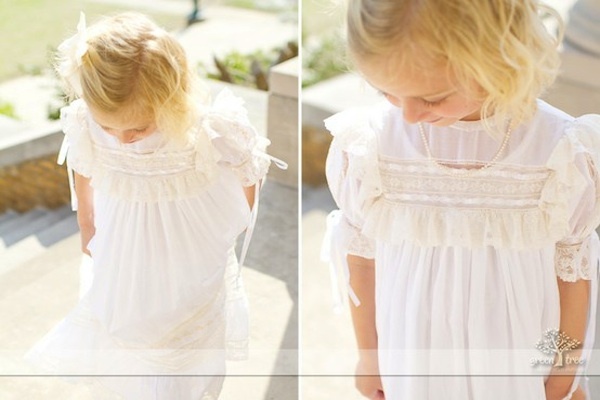 Another fairy, or ethereal look for your flower girl could be adding wings. 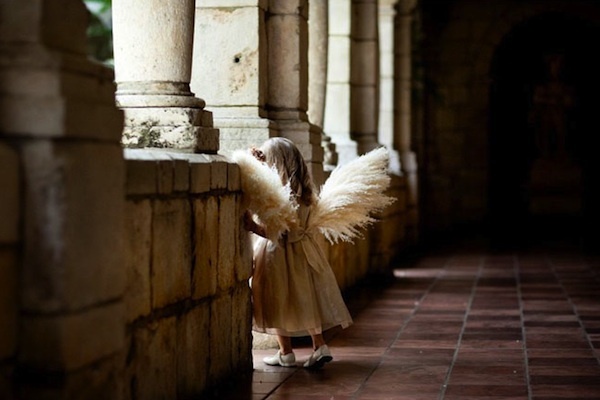 I prefer the look of wings to be more natural, like an angel, as opposed to looking like it’s a Halloween costume. 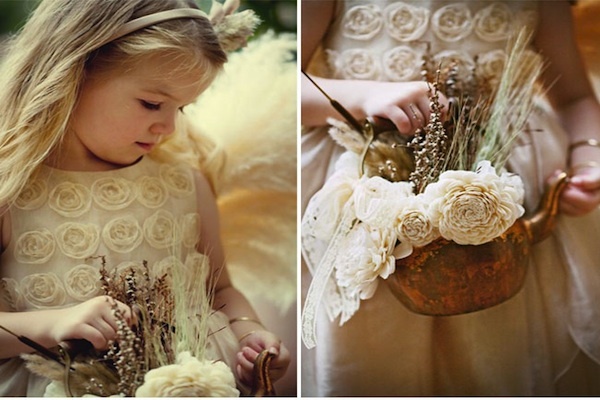 I absolutely love these flower girl wings that were made from pampas grass (these plants also come in pink, how adorable would that be?!) she really does look like a little angel. 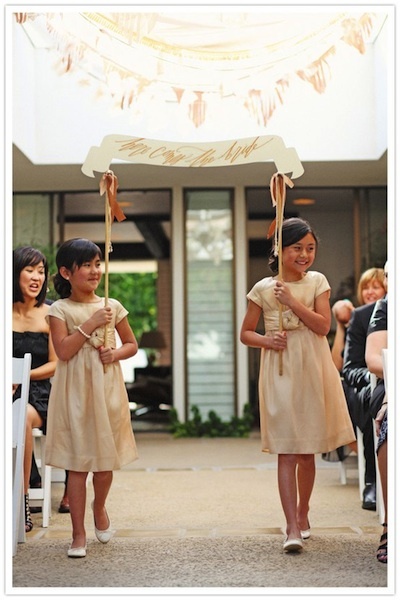 One of my favorite flower girl basket alternatives is flower girls holding signs. 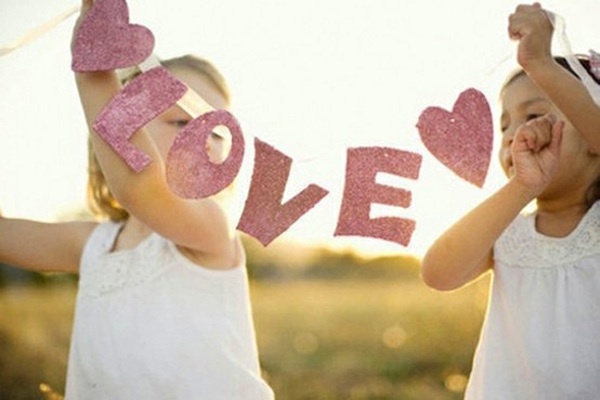 I’m a big fan of text and I love the messages that these girls carry. 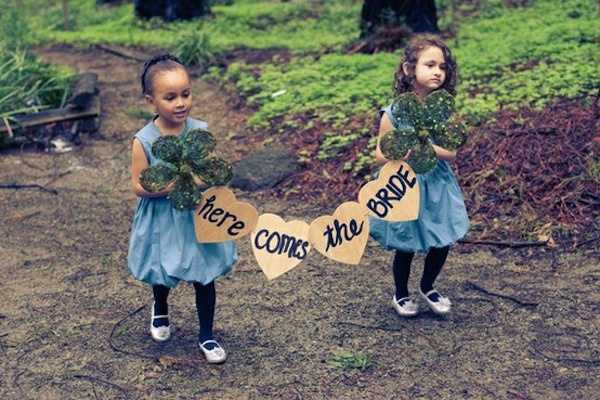 This is great if you want to have more than one flower girl too. While flower girl fashion and accessories can range from any style you choose, their symbolism remains the same since their invention. The flower girl (or girls) are supposed to represent who the bride was growing up and her journey from child to woman now as she becomes a wife. 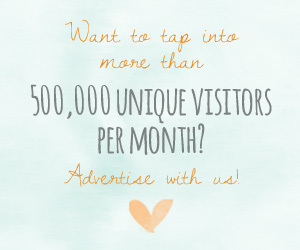 Rebekah owns the even design company A & B Creative. 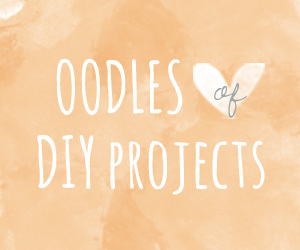 Read Rebekah’s blog.